Thanks again to the wonderful team I had the pleasure of working with for the first time and to Rebecca from the Knot for featuring us! 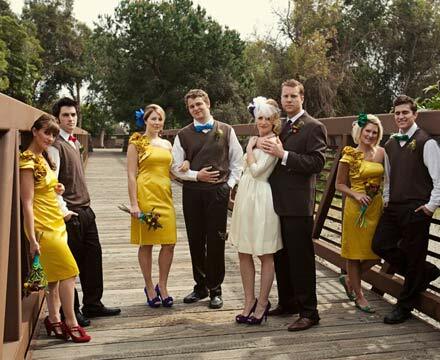 This entry was posted on Friday, May 21st, 2010 at 3:56 pm	and tagged with colorful, feature, Frenzel Photographers, Fun and Games, Jesi Haack Weddings, My Sweet and Saucy, photoshoot, Posh Paperie, vintage and posted in Uncategorized. You can follow any responses to this entry through the RSS 2.0 feed. Congrats on the feature! Such a fun & creative shoot, and as always, your florals were just breathtaking!